We arrived in our home-away-from-home yesterday afternoon. 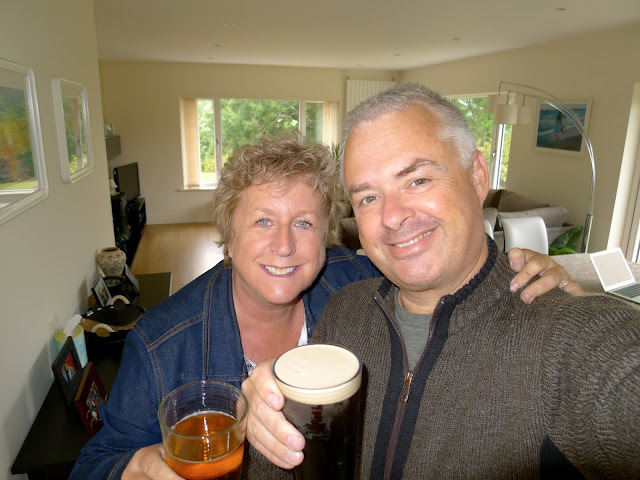 We are spending the next 3 weeks in Moycullen, a small village just outside of Galway, Ireland. Our fellow home exchangers are now fully ensconced in our house in Brackendale. Upon our arrival yesterday afternoon we saw a bottle of wine and a book sitting on the kitchen island, gifts from our new friends. And not only that! A pot of Irish stew was waiting in the fridge for our supper. Comfort food. We ate that delicious stew so fast it didn't stand a chance against our hungry gullets. I don't know about you, but when I am jet-lagged I want to eat heavy, greasy food. Jet-lag feels like a hangover to me. The cure? A full Irish breakfast! Bacon, sausages, white and black pudding, hash brown potatoes, fried egg with chips on top and a nice mug o' steaming hot tea! 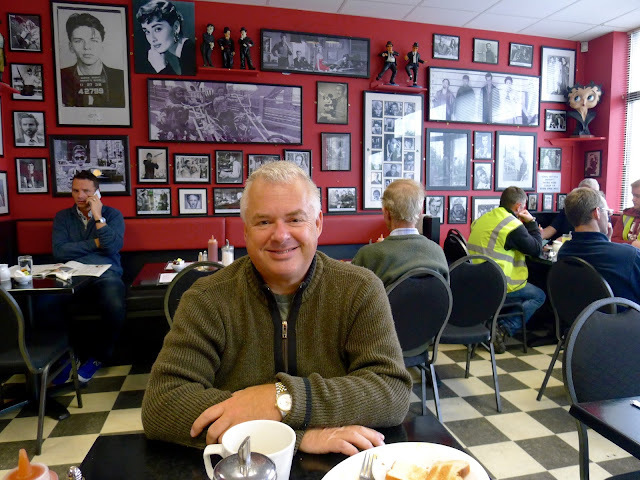 Hanging at Tony's Diner in downtown Moycullen. We stumbled upon a Marks and Spencer in Galway. Dear Lord above, I could scarcely believe our good fortune. I have been craving their bread & butter pudding and clotted cream ever since we left England two summers ago. Can't wait to tuck into this baby later on tonight! I dream about clotted cream. Since when did Weight Watchers get into the booze biz? There is nothing Joe loves more than a weekly outdoor market. Yay for Fridays! We just HAD to stop at a roadside fruit stand to buy these beautiful strawberries. The young fruit seller looked so cold and wet waiting for customers to stop. Who can pass up the chance to have one's photo taken as a leprechaun? Not me! Me and my 5€ polaroid photo on the streets of Galway.